People’s War affects… Let’s organize International Commitee Support People’s War in India – in all countries – it is a need Now! A classification by the ministry of home affairs (MHA) on areas affected by left-wing insurgency is likely to include two districts from Kerala for the first time in the state’s history, a senior home ministry official said on condition of anonymity. The assessment is conducted by the MHA to determine which states are eligible for reimbursement (by the federal government) of funds incurred by them to counter Left Wing Extremism (LWE). According to the MHA, a total of 106 districts across 10 states see active left wing insurgency; of these, 35 are categorised as “worst LWE affected districts”. 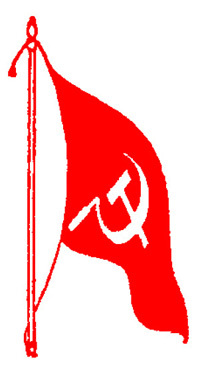 The home ministry official said Palakkad and Malappuram in Kerala have now been recommended by the state government to receive funds under the federal reimbursement scheme owing to increased ultra-left wing activity in both. “Names of some districts in the worst affected list have been excluded because of the improved law and order situation there.There are some new districts that have been added including two from Kerala but the total number of worst affected districts is most likely to remain at 35,” this person said. The MHA official did not divulge details of the other districts that have been included in or excluded from the list. K Durgaprasad the former Director-General of the Central Armed Police Force said that there have been regular intelligence inputs for several years of attempts by Maoists to establish a base in the Kerala-Karnataka-Tamil Nadu tri junction . The district police chief of Palakkad Dr. Srinivas A said over phone said the request for receiving central funds is not based on the law and order situation in the district but purely to strengthen the internal security mechanism. “Though no violent incident has been reported from the two districts in 2017, there have been multiple sightings of Maoist cadres in the area coupled with intelligence reports that suggest that the insurgents are close to establishing a base in the region,” he added.